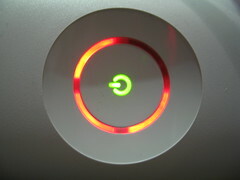 Microsoft's "apology" to XBox owner, a good lesson - Rescue Marketing, Inc.
As I’ve mentioned before, how you recover from a stumble is sometimes more indicative of a good business than the fact that you stumbled. Today’s guest post is really just a news story about a now-happy guy whose treasured XBox360 had been ruined by someone who thought they were just being helpful, but there’s a great example to motivate you to take care of the clients you mess around. Kudos to Microsoft for how they recovered from this stumble. The next time you have to apologize to a client…think about this one. Valuable to that client, but not expensive in terms of hard dollars. Sometimes, a client just wants an apology. No doubt, this is something that he will remember for a very long time. Somoene, somewhere in Microsoft customer service went above and beyond in a very smart way.